I purchased these 2 vases more for the written stickers adhered to them. 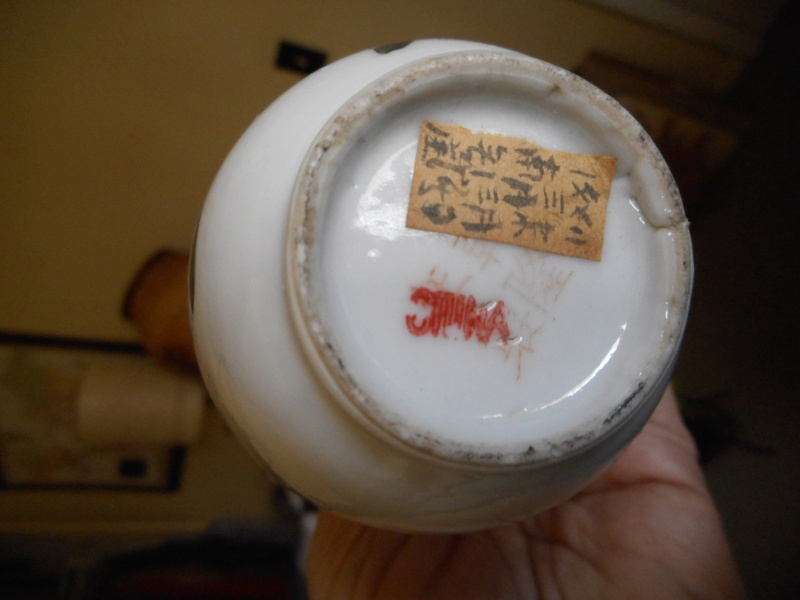 I was wondering if anyone could help decipher what is written on them and if it pertains to the vases. 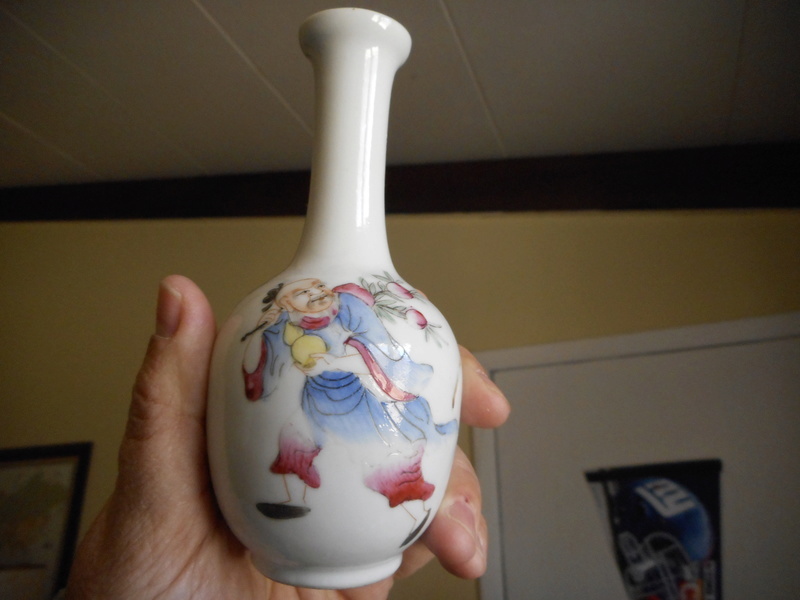 Also the period that these vases were made. I apologize if I have posted them in the wrong forum. Thank you again for all your help. I am so happy to have discovered this forum, I learn new things everyday. 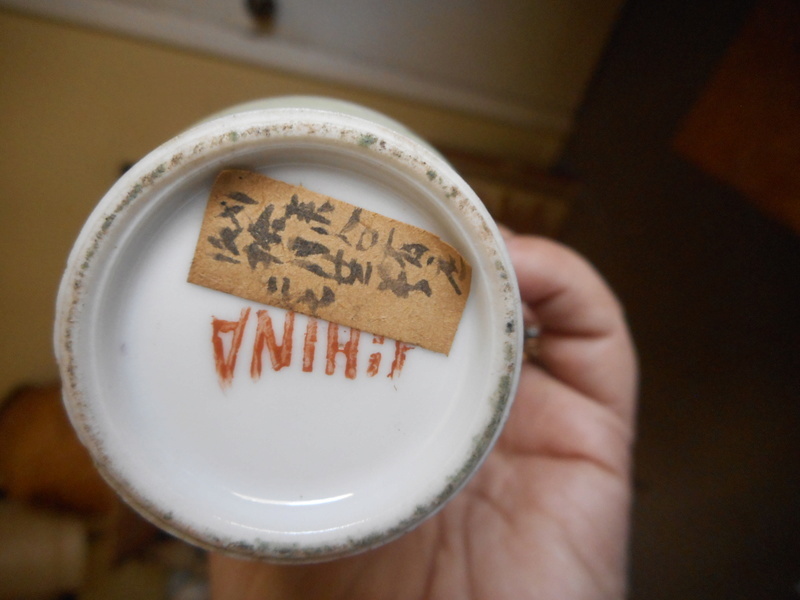 Normally it says 'Made in China' so probably 1891 and onward's. 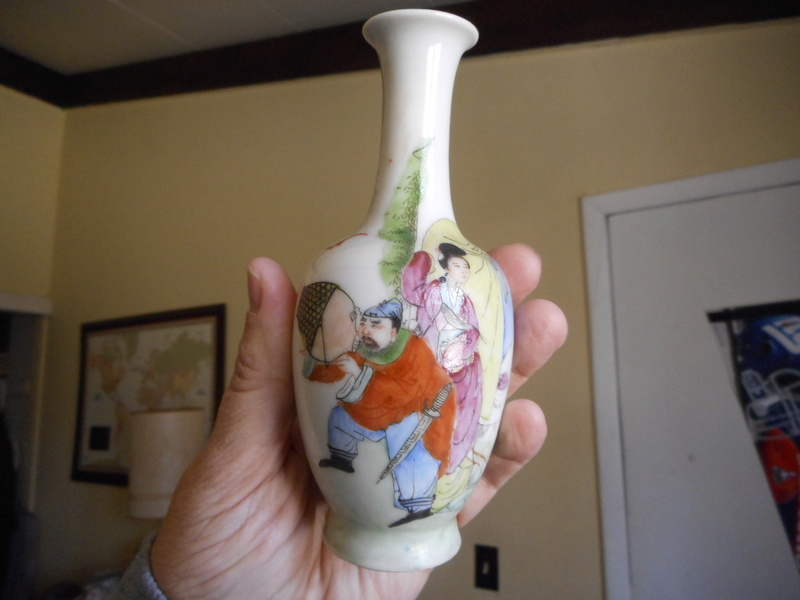 There seems to be a faint red stamp under the China mark. That will be the mark you should look for on Gotheberg.